STANDARD Chartered on Thursday bowed out of the institutional equities business, and announced 2,000 more job reductions in its retail business amid cost pressures. But it said it would retain focus on its second-largest market, Singapore - which is also home to its single-largest shareholder, Temasek Holdings. The UK bank, which gets most of its profits from the emerging markets, said it would cut about 200 jobs from shutting its institutional cash equities and equity research segment - which made money from executing trades of fund houses, and large institutional investors. It would also stop structuring capital-raising exercises such as initial public offerings for its clients. These operations have lost money, the bank said in a media statement. With the closure, the lender will save around US$100 million next year. A bank spokesman declined to provide a geographical breakdown of the job losses, and said cuts will be made mainly in the markets of Hong Kong, Singapore, Indonesia, Korea and India. The Financial Times, without citing sources, said half of the job cuts are expected in Hong Kong. The bank hires roughly 7,000 employees in Singapore alone. While the bank's decision was abrupt with reports of staff taken aback by the decision, the writing was on the proverbial wall. StanChart's equity capital markets team in Asia was ranked 24th last year based on the amount of capital raised, data from Dealogic showed. Its position fell from 16th in 2013. Last year, the bank - which reported three profit warnings in 12 months - sold or closed a string of consumer banking operations, many of which were in Asia. The shedding of assets, as has been done by other large banks, has suggested that global dominance of large banks via the universal banking model was no longer viable. StanChart's third-quarter profits fell 16 per cent to US$1.5 billion, with costs outpacing sales. Impairments for non-performing loans also nearly doubled. Its shares have fallen about 25 per cent from a year ago; it gained 2.7 per cent to £988 on Thursday at around 11.30am, London time. 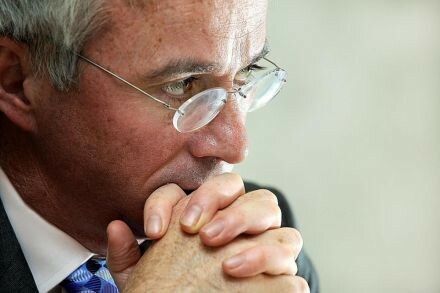 In November, CEO Peter Sands set a target to save at least US$400 million in costs this year, driven by a round of branch closures, and cutting 2,000 jobs in the retail business. The bank further said on Thursday that it would not fill another 2,000 job positions from staff departures. The announcement came on the same day as Mr Sands's 53th birthday. "The impact in Singapore has been very minimal," said the bank spokesman, referring to job cuts in the retail business. The bank had also said in November that it would not close any branches in Singapore. "Singapore is one of the 85 high-growth cities which we have identified as strategic, based on market opportunity and growth and we will continue to invest here to better serve our clients." In 2013, the bank completed subsidiarisation of its local operations in Singapore, seen partly as a bank's way of sinking its roots. Still, analysts have flagged that more substantial changes are needed. A Macquarie report last year that compared StanChart and its global peers with the three Singapore lenders, said these banks had a "cost-efficiency issue". In StanChart's case, it is active in roughly four times as many countries as DBS, and has failed to hit pole position in any of its larger markets, the report added. The bank said this latest exit from its institutional equities business - six years after expanding into it by buying the Asian business of brokerage JPMorgan Cazenove - would not impact its "core strategic aim" of supporting the international trade, wealth and fixed income, currencies and commodities needs of its corporate and affluent retail clients. It will retain its equity derivatives and convertible bond businesses, and continue to offer strategic advice to its clients on equity financing.